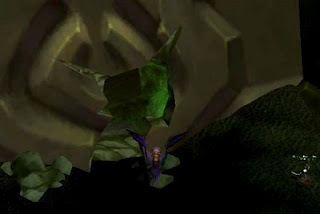 There's still a few The Burning Crusade raids that haven't been mentioned. Many people have considered Black Temple to be not soloable because of the mechanics of especially the first boss, and it's still true in a few scenarios. But with the ilvl rising in every patch, it's now even more easier to destroy the whole instance - alone! Not only will you get lots of epics and BOES, all bosses drop 250-300 gold! Look up after soloing Illidan! Does the planet look familiar to you? Is it profitable to solo Black Temple? There's lots of loot to be found in Black Temple. All bosses and even trash mobs drop valuable items! On top of that, high level TBC raids can drop the famous Blade of Wizardry, and other epics that are wanted for transmogging! Most of the trash loot is worthless. However, especially the epic gems have a decent vendor price. You will find lots of them and they sell for 5 gold each. Some greenies also look better than others, and may be sold in the AH instead of getting disenchanted. You may also see BOE recipes drop. These can be sold for 200-2000 gold usually, sometimes more if no one else is selling them. Are the bosses easy to solo? Most of the bosses can be soloed eyes closed. However, especially the first boss causes trouble to most players. Note also that a level 85 toon with good gear is a must. You need high dps or the heal will give you trouble. Rogues, Hunters, or a Night Elf of any class can reset the healing bubble with Vanish, Feign Death, or Shadowmeld. You need to re-aggro the boss quick or he will reset. Otherwise all of the bosses are easy if you have good gear. If a specific boss gives you trouble, you should check how some other player has killed it. Making the loot more worthwhile! You should never sell the trade goods/greenies you obtain if you want to make more gold. Instead turn them into something that is more valuable. How to enter a raid instance alone! You need to form a raid group in order to enter a raid instance. While it would be faster to invite some random player, I prefer this method as you don't need to rely on anybody else. If you play during odd hours, it might be impossible to find someone you could abuse or you might even get kicked out of the instance if for some reason the other user leaves the group and you get a dc. 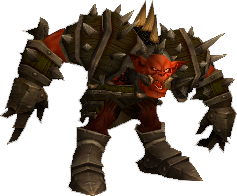 Log into your new account (wow2), create a toon and level it to 10 so you are eligible for raid groups. It's extremely fast even without heirlooms. Just do a couple of quests and check nearby treasure chest and rare monster spawn points. Each will give about 1000 exp at these levels, granting you easy level ups! Invite your slave character into a group and convert into a raid! Close the other window and start raiding! Protip: Trial accounts do not expire so you can still login onto your slave toon at any point you wish, even after 14 days. That's so handy. Thanks for the comment! Thanks for the tip, with my guild in D3 its been harder to form a raid for farming. Indeed! Now is the best time to do some soloing. More ways to spend your time in WoW (alone) coming soon. Is this supposed to work for multiple regular Accounts as well? Because when I Grouped with a lvl 16 from my other account and tried to convert to a Raid, I recieved the message 'this character is too low level to Raid'. Note that I tried after this weeks maintenance. I know I can solo the first boss, though timing can be an issue. What I can't seem to solo is Reliquary, especially phase 2. How are you guys doing that? What class are you? Have you watched someone else with the same class solo it? ive been browsing the net for instance tips. Like your guide, but i see the tip to DE the greens and so. Not only will this take more time it will take bag slots aswell. That's the point. You need to have someone in the group so you can enter. The box will always pop then. Although bountiful bags guild perk does not proc if you click the DE button, even if you're the enchanter with the perk.